When the ACL tears, it unravels like a braided rope and does not heal on its own. We can repair, rebuild or revise injured ACLs using biologic techniques. Your anterior cruciate ligament (ACL) is a key stabilizer of your knee and guides your tibia (shin bone) through a normal, stable range of motion. The ACL is a broad, thick cord the size of your index finger with long collagen strands woven together in a way that allows it to withstand up to 500lbs of force. The ACL is the most commonly injured ligament in the knee. 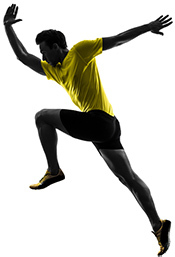 People often tear the ACL by changing direction rapidly, slowing down from running, or landing from a jump. When you twist your knee or fall on it, you can tear this stabilizing ligament that connects your thighbone to your shinbone. When the ACL tears, it unravels like a braided rope and does not heal on its own. 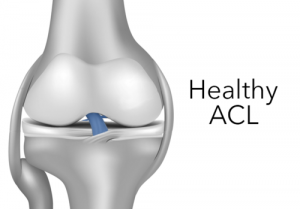 Once the ACL is torn, the knee usually becomes unstable. Females, for many different reasons, are more likely to injure their ACL than males. "Depending on the stage of your ACL Injury. We are able to repair, reconstruct, or revise your ACL naturally or with donor tissue and have extensive experience revising re-injured ACLs." A partially torn ACL can sometimes be repaired without being removed by a technique we developed and have tested over 15 years. The ideal partial tear is immediately adjacent to the bone of the femur or tibia and is within three weeks of injury. Unfortunately, when injured the ACL usually becomes completely dysfunctional and requires replacement, or reconstruction. Surgical reconstruction of the anterior cruciate ligament (ACL) is indicated for patients with unstable knees who desire to remain active. We reconstruct the ligament with a sterilized donor bone-patellar tendon-bone graft. When followed with an intense, rehabilitation program that is individually-designed for each patient, more than 90% of our patients are able to return to full sports with a stable knee. We have a successful track record with professional athletes and weekend warriors with this specific reconstruction technique. 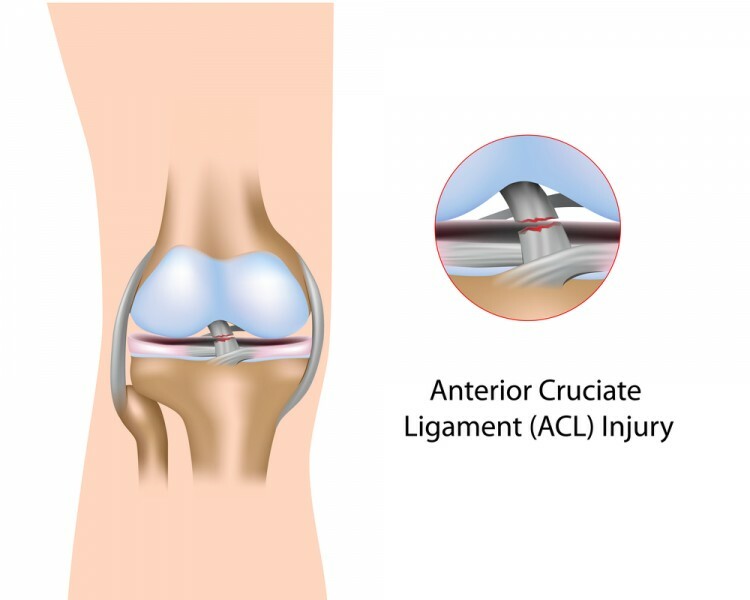 ACL reconstruction is a complex process, and although the success rate of ACL reconstruction is generally 85 - 95%, there are times when the reconstruction is unsuccessful. Many factors contribute to successful ACL reconstruction and rehabilitation, but failure of even one of these factors can lead to less than desirable outcomes. When graft failure occurs, it is necessary to perform an ACL revision procedure. Revision surgery requires specialized techniques and instrumentation that we have optimized for our patients. The vast majority of sports related ACL injuries are non-contact injuries that occur during a sudden change in direction with a planted foot, landing incorrectly from a jump or stopping rapidly. ACL injuries are more likely to occur in female athletes than male. It is possible to reduce your risk of injury with a series of evidence-based Sportsmetrics™ drills and plyometric exercises to improve the strength and facilitation of the core and hamstrings to teach athletes to land in safe positions from a jump, with proper body positioning. Our physical therapists are certified in Sportsmetrics and run regular group and private training sessions. There are more than 20,000 knee injuries sustained each year by skiers in the U.S. alone, most of which involved the ACL. The question is why, and what can you do about it?